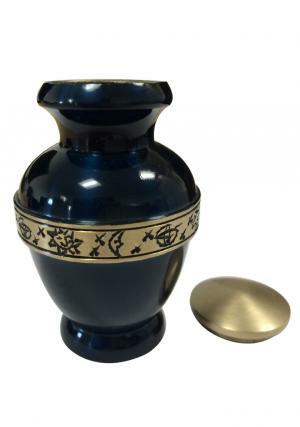 The deadly combination of sapphire and golden brown gives an elegant, rich and classy look to this Cambridge Sapphire keepsake urn. 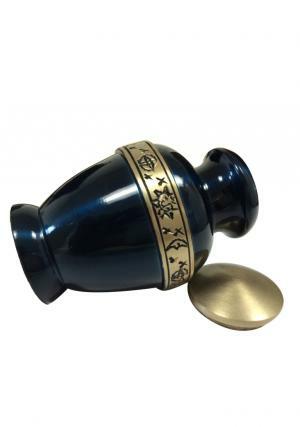 This handcrafted urn is casted by our very experienced craftsmen who have a great passion and love towards their craft. 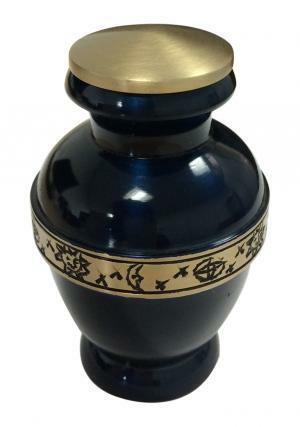 This sapphire coloured urn has golden brown lid and two bands, one at the bottom and one in the middle. The middle band has some symbols engraved onto it which gives a very nice look to it. 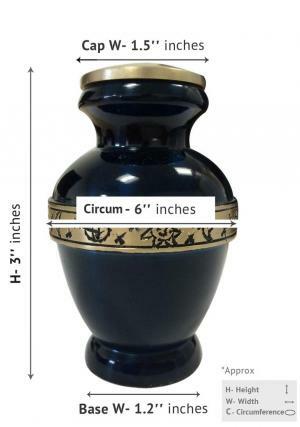 This brass made keepsake urn is of 3" inches in height and is of 0.13kg in weight. It has a secure screw type lid on the top through which the ashes and cremation remains can be kept into it. 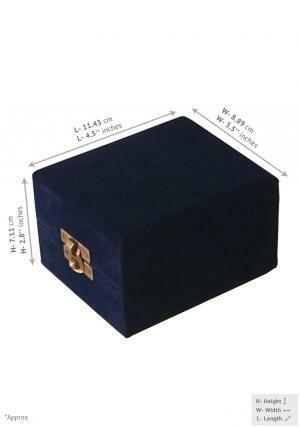 This keepsake urn comes with a presentation box having a velvet cloth layer in it. 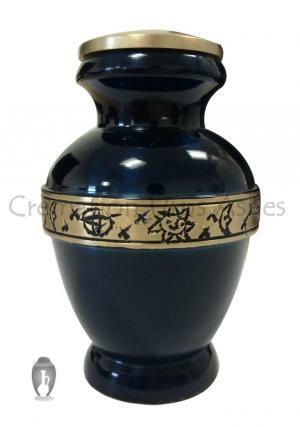 It is a royal looking urn which gives a wonderful artistic feel for the memories of your loved ones. With a flawless, durable and luminous finish it is a perfect way to preserve memories for life.